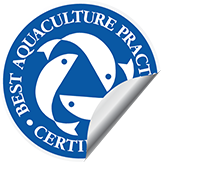 BAP is the world’s most trusted, comprehensive and proven third-party aquaculture certification program. We’ve been improving the environmental, social and economic performance of the aquaculture supply chain and growing the global supply of responsibly farmed seafood since 2002. We are a third-party certification, ensuring that your audit is fair, objective and traceable.  We are the only aquaculture certification that encompasses the entire production chain: farms, processing plants, hatcheries and feed mills. Our standards cover virtually 100% of the finfish, crustacean and mollusk species produced around the globe. 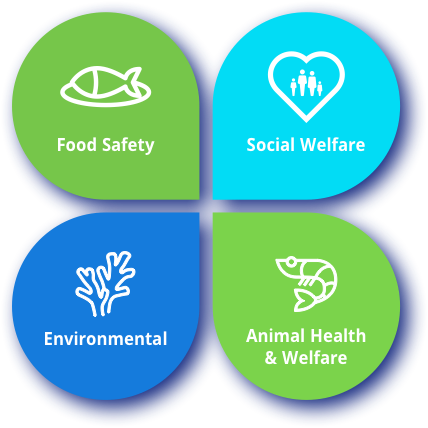 Our standards are scientific, rigorous and always evolving to meet challenges in aquaculture. More than 150 retail and foodservice companies worldwide are publicly committed to sourcing seafood from BAP-certified facilities. To be BAP certified is to prove your commitment to the environment, social integrity, and the health of the animal and consumer. BAP currently has more than 1,600 facilities certified worldwide. Interested in Getting BAP Certified? Stand apart from the competition and access new markets, while providing your business with a quantitative tool to measure compliance, improvement and efficiencies over time.